Congratulations to all 21,856 finishers of the 2010 Marine Corps Marathon. 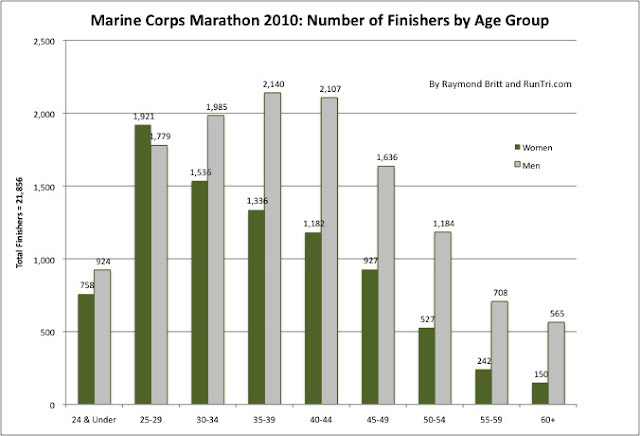 The breakout of number of finishers by age group is shown below. All finishers and finish times are listed in two posts: Finishers 1 to 10,000 and Finishers 10,001+. Also see Average Finish Times by Age Group, and our Complete Marine Corps Marathon Race Coverage.